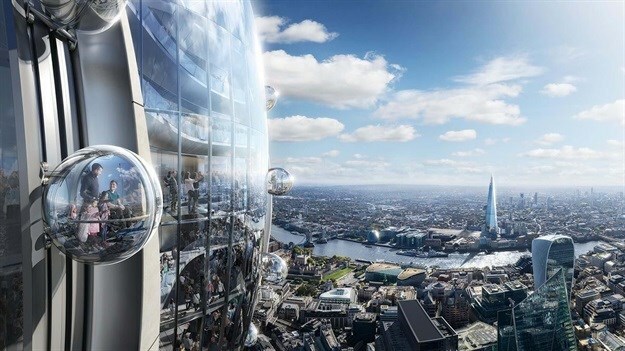 Foster + Partners has released images for a new tourist observation tower at a site next to 30 St Mary Axe (also known as The Gherkin) in London. 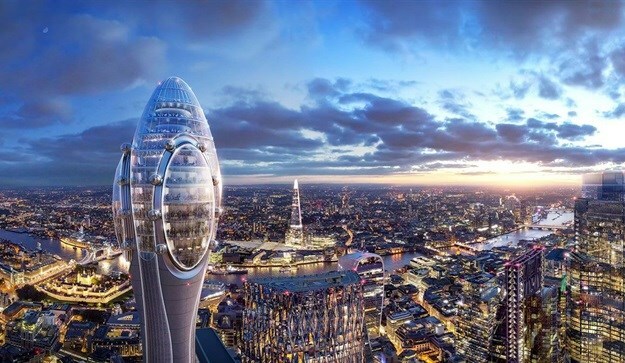 Dubbed The Tulip, the tower is designed to function as a public cultural and tourist attraction for the city of London, with the firm having recently submitted its application plans to the council for planning permission. If the plans are approved by the council, construction work on The Tulip is planned to start in 2020 and will be completed for 2025. 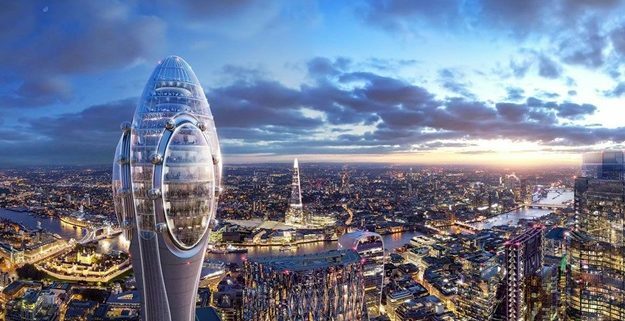 If completed, Foster + Partners’ 305.3-metre observation tower will be the tallest in London. Deriving its name from its nature-inspired form, The Tulip will enhance The Gherkin, one of London’s most cherished and recognisable buildings, and offer a new state-of-the-art cultural and educational resource for Londoners and tourists. 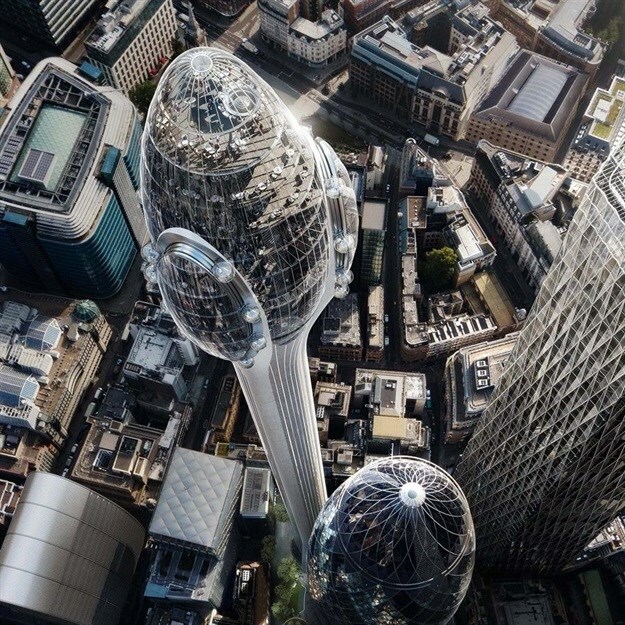 The Tulip seeks to provide an unparalleled vantage point to view London. The viewing galleries will offer visitors an engaging experience with sky bridges, internal glass slides and gondola pod rides on the building’s façade that will appeal to people across all age groups. Visitors will benefit from interactive materials and briefings from expert guides about the history of London. Complementing the experience will be a sky bar and restaurants with 360-degree views of the city. “Continuing the pioneering design of 30 St Mary Axe, The Tulip is in the spirit of London as a progressive, forward-thinking city,” said Norman Foster, founder and executive chairman of Foster + Partners. “It offers significant benefits to Londoners and visitors as a cultural and social landmark with unmatched educational resources for future generations,” Foster added. Completed in 2004, The Gherkin made a positive contribution at ground level by breathing life into its surroundings. The Tulip seeks to extend the site’s public realm further. A new pocket park is proposed alongside a two-storey pavilion, offering a publicly accessible rooftop garden. Together with green walls, this increases the site’s green surface area 8.5 times, supporting the mayor’s goal for London to be the world’s first national park city. Public access will also be considerably improved with the removal of over half of the existing perimeter walls around The Gherkin. The Tulip’s soft bud-like form and minimal building footprint will reflect its reduced resource use, with high-performance glass and optimised building systems reducing its energy consumption. 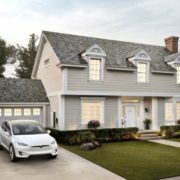 The firm uses zero combustion technology for heating and cooling, while integrated photovoltaic cells generate energy on site. The tower is designed for the J. Safra Group, a privately owned financial firm with investment holdings in asset-based business sectors such as real estate and agribusiness. “We are delighted to benefit from the exceptional talent of Foster + Partners in bringing to London this world-class visitor attraction. The Tulip’s elegance and soft strength complement the iconic Gherkin. We are confident in London’s role as a global city and are proud to offer its schoolchildren a state-of-the-art classroom in the sky to appreciate London’s history and dynamism,” said Jacob J. Safra.